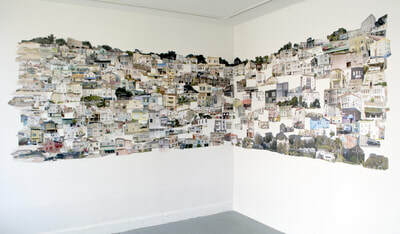 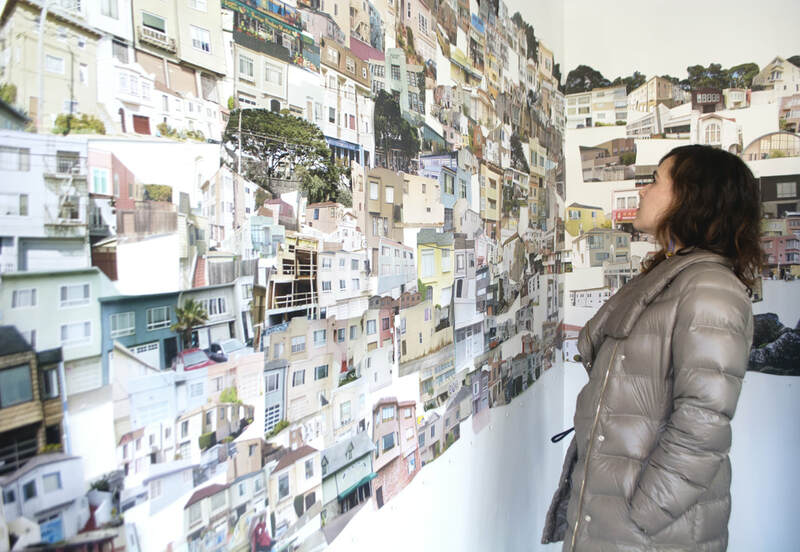 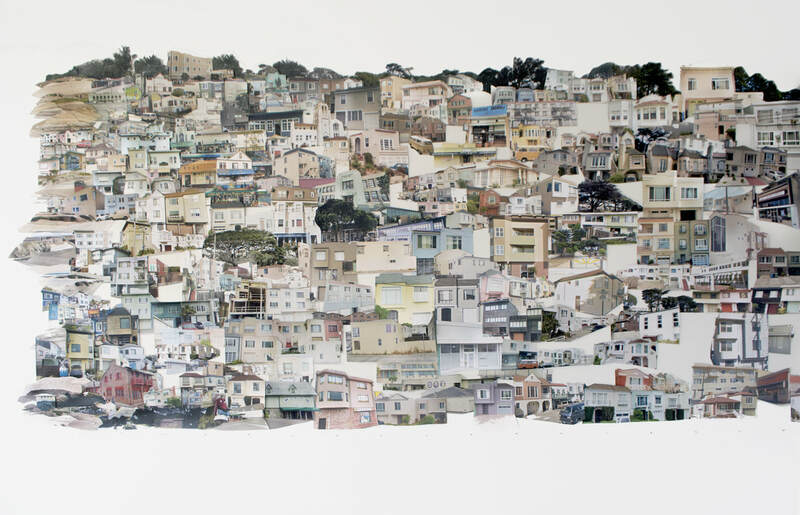 Collective Geographies is a community mapping project in the Outer Sunset neighborhood of San Francisco, taking the form of a large-scale collage installation and accompanied by a card catalogue of local oral histories. The public was invited to contribute memories associated with a street address in the Outer Sunset, loosely defined as west of 19th Avenue, north of Sloat Blvd, and south of Golden Gate Park. 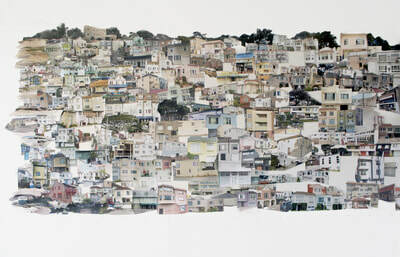 Each locale was added to a large-scale archival collage comprised of gathered Google Street View screenshots. 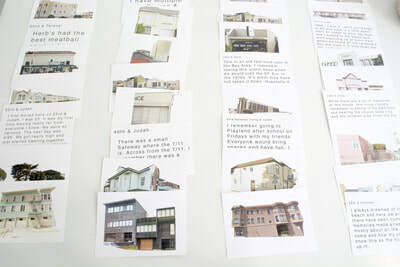 Each memory was represented in set of corresponding cards for visitors to explore. The Collective Geographies installation was located at Irving Street Projects in the Outer Sunset, but will live on in new forms such as a book and online interactive map. Collective Geographies takes an inquisitive look at one place over time through numerous perspectives; an interplay between the fluid nature of memory and digital data. 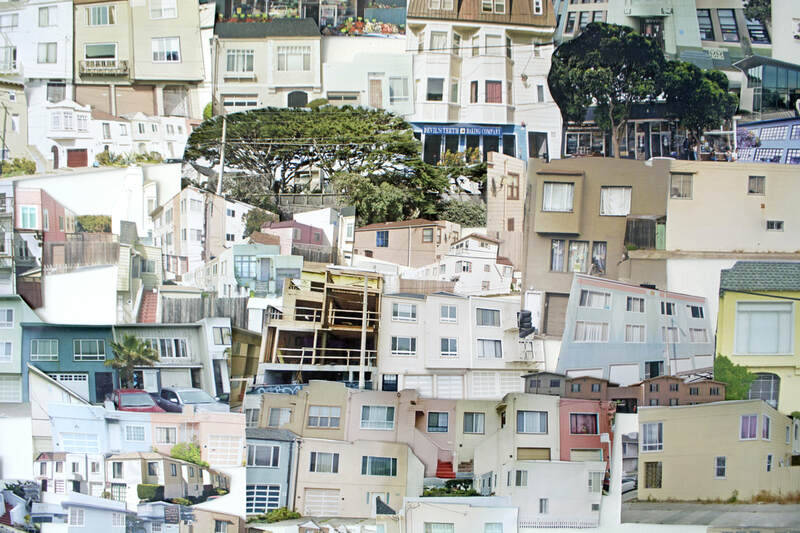 ​In conjunction with Collective Geographies, this video was made using found footage from home movies and outtake reels from feature films based in the Outer Sunset neighborhood of San Francisco. 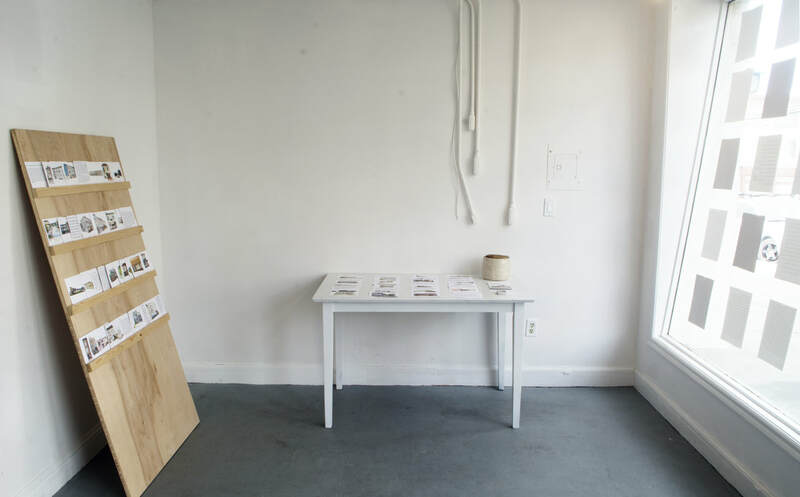 It was screened in the gallery at Irving Street Projects on December 14, 2017.